All The Cute And Sometimes Silly Places That Cats Can Hide. With An Hour Of Soothing Music. Come and Have a Fun Time with All Your Favorite Farm Animals! You'll Also See Rustic Barns, Vintage Farm Equipment and More. Accompanied by an Hour of Toe-Tapping Music - Including Old McDonald, Oh Susanna, Yellow Rose of Texas, When The Saints Go Marching In, and More. Your Favorite Backyard Birds Up Close and Beautiful - Their Colorful Feathers Are A Joy To Watch! Accompanied By An Hour Of Relaxing Music. No Narration - Pure Enjoyment. America's Favorite Past Time - Walking the Dog! You Will Get A Kick Out of Watching All Your Favorite Furry Friends Going for Walks on The Beach, Playing in The Park and Meeting Other Dogs On The Street! Experience the Innocence and Joy of Baby Animals With Their Moms In Their Natural Settings - Cute Teddy Bears to Little Ducklings Following Their Mom to The Pond. Accompanied by an Hour of Happy, Playful Music. 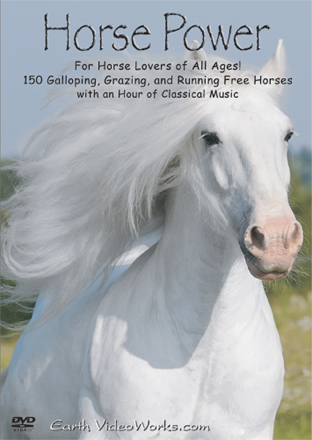 For Horse Lovers of All Ages! 150 Galloping, Grazing, and Running Free Horses with an Hour of Classical Music. Come Close and Experience Beautiful, Majestic Horses Running Free, Quietly Grazing in Serene Landscapes & Nuzzling with their Young Colts. Accompanied by an Hour of Classical Music. 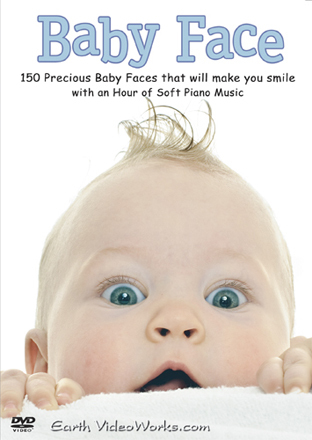 Over 150 Precious Baby Faces That Will Make You Smile Come Alive with an Hour of Relaxing Piano Music. Come Close and Experience Happy Baby Faces! Their Bright Eyes, Priceless Expressions and Innocence Will Leave You With A Warm Spot In Your Heart! For Kitty Lovers of All Ages! Enjoy Over 100 Cute, Adorable, Irresistible Kitties Love Will Fill Your Heart As Each Kitty Longingly Gazes Into Your Eyes. Music From "Angel Whispers" by Grady. For Puppy Lovers of All Ages! Enjoy Over 100 Cute, Adorable, Irresistible Puppies. Love Will Fill Your Heart As Each Puppy Longingly Gazes Into Your Eyes. Music From "Love Will Find You" by Grady. On this DVD, over 100 of his most popular paintings come alive with an hour of traditional Scottish and Welsh music by Richard Searles. Digitally Remastered in High Definition - previously released as "Once Upon A Time".